‘You will know sir that if you’re a police officer then you are afforded one’, replied the sergeant. ‘That’s why I wouldn’t join the police force’. The challenge is not only internal, but also external. Given the history BME communities face and still are by some police forces, the BME police officer also has to deal with the prejudice that comes from our own communities. Babylon may no longer be the term used, but the meaning still resonates. Despite all the obstacles, BME individuals still come forward and apply to become officers, and we must pay tribute to them, and demand that their bosses treat them with decency and respect. They must also recognise that these officers are often forced to deal with much more than white officers. Whilst none are seeking special treatment, they would like their fellow officers to be alive to their extraordinary challenges. Above all what struck me in my short visit to the conference was their solidarity and desire to ensure their police force was a good place to work for themselves and their colleagues. Their Charles Crichlow’s slogan for the two day conference was: ‘Transformation through Education’. Crichlow said during his opening remarks that with impending cuts we would demand that BME officers are treated equitably, and of BME officers themselves, he urged them to excel. Our message to all BME police officers throughout the UK, is we salute you, brothers and sisters, we salute you. Simon, it’s not that simple, what about the ones that Senior officers use time and time again to thwart the anti racism agenda, especially whilst luring them with the carrot of career progression? What about the ones that are unofficially mentored by Senior officers, whilst other more qualified BME officers are not mentored, because they have the courage to speak out? Often these colleagues do not help or support others that are being victimised because of their ethnicity. In fact I would suggest that they breach confidential information for career gain. I can’t salute these people because they have fundamentally sold out and undermined the oath of office. Sorry. Simon, I would hope that you can acknowledge that whilst Black people conduct the sort of behaviours that I mention, and they do, the job of colleagues like Charles Crichlow is made very very difficult. And as for the powers to be, they are happy, because real change doesn’t happen; marginalised kids in our communities continue to suffer and policing can keep a cap on race progress. How many Chief Officers are prepared to change the structures and attitudes that have benefitted them getting to the top? I haven’t found that many. Of course if you have a BPA that does what you say, and you are a Chief Officer, then you can tell the HMIC you have a BPA, and when Black colleagues takes you to tribunal, you can say you have all the systems in place; but if you control those systems, then what you may not have is race equality. Just consider the number of failed race tribunals since Macpherson? Who defends race tribunals? HR. Where do diversity units tend to sit within organisations? HR. Uncanny really that Diversity Units that should be pursuing equality just advise their superiors; where is the justice in this if genuine Black people have suffered racism? When we talk about change; those at the top still control the independence of BPA’s. That is neither encouraging nor fair. I’m a student at The University of Manchester and I’m conducting research regarding the diversity of the police force in the UK. I’m particularly interested in the forming of the BPA and its part in improving equality for minority races. 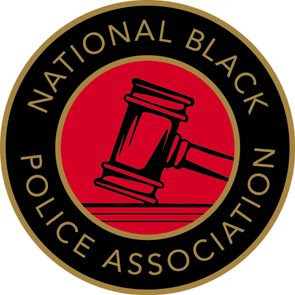 I’ve read the reasoning behind the founding of the BPA but I’m curious to know if and how the BPA has been beneficial to black police officers across the country? Is the necessity of a BPA still there? Your thoughts on the ultimate, final aim of the BPA and when will it be achieved? Finally your thoughts on the possibility of further segregating black police officers by having this association which does not permit white officers? I hope you can find time to respond to these questions, it will be much appreciated. Ring the Met’s BPA and ask them for an interview. Surely they are the best to answer. However, my thoughts on your final question: “the possibility of further segregating black police officers by having this association which does not permit white officers?”. It does permit them. If they support the cause they are welcomed. Read the clear statement in blue here http://www.nationalbpa.com/ and I can assure you the Met BPA take the same stance. I only highlight this as I am thinking of your research, i.e. if the premise of the research is incorrect, then inevitably the outcomes will be too. Look at the aims and objectives of the BPAs and ask if they achieve those. Don’t assess them on objectives outside of their scope. By all means if you would like assistance I would be prepared to offer it. I hold an MA in Criminology and am a former Home Office researcher.